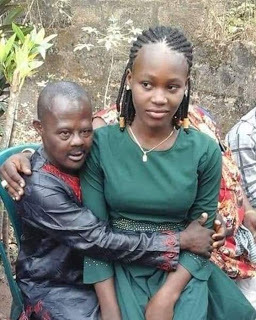 Recently, Legit.ng reported the story of a man with down syndrome who married a supposed 16-year-old lady. He has been said to be 56 years old. Several agitations have been ongoing about this issue. Many Nigerians do not quite agree with the marriage because they think it is a clear case of child abuse. Although the child bride has been reportedly taken away from her husband, several differing opinions have been aired on social media. A Nigerian lady took to social media to weigh in on the issue. As a matter of fact, she actually wrote what seemed like a Facebook marriage proposal. 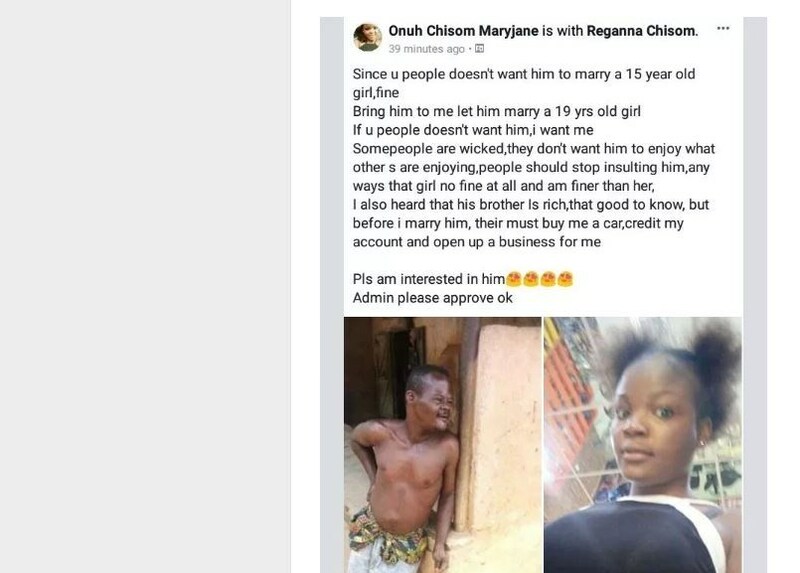 The lady whose name on Facebook is Onuh Chisom Maryjane took to her page to air an opposition to the popular opinion that the said man with special needs named Izu forcefully married the 15-year-old lady who reportedly has a child for him. The vehement opposition to this claim was a reposted comment that attracted the attention of quite a number of people. Whatever thing was said in this post must have softened Maryjane's heart because, earlier, she took to a popular Facebook group to clearly state that she was ready to marry Izu. According to her, she did not see the reason why anyone should insult him as he deserved to enjoy what everyone else was enjoying. She then offered herself as 'the sacrificial lamb' to help him savour a love relationship. However, Maryjane was not ready to marry Izu for free. She revealed that her sacrifice to marry him came with a price. She based her price tag on the report she heard about the brother of the man with special needs. Following what she gathered about him, she said that she would happily marry Izu if a business was opened for her, money is credited into her account and a car is bought for her.